Official Website of Fiji Rugby Union » Strong Fijian side debuting at the Hong Kong 10s. Strong Fijian side debuting at the Hong Kong 10s. Home > Newsroom > Strong Fijian side debuting at the Hong Kong 10s. 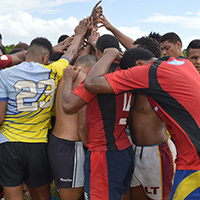 An experienced Mourant Fiji Army squad will make their eagerly awaited tournament debut at the 34th edition of the GFI HKFC 10s, which will be held at Hong Kong Football Club from April 3-4, the Wednesday and Thursday before the Hong Kong Sevens. The Fijians are expected to be among this year’s top contenders as Biarritz Gavekal – formerly UBB Gavekal – bid for a third successive Cup title. The tournament has also been boosted by the return of three-time champions Asia Pacific Dragons (APDs) after a year’s absence. Isake ‘Ice’ Katonibau has helped Fiji win the last four Hong Kong Sevens titles (2015-2018), but this year will captain Mourant Fiji Army, whose provisional squad includes 2016 Olympic gold medallist Apisai Domolailai. Katonibau admits the team has high expectations for the tournament and is looking forward to his return to the city. 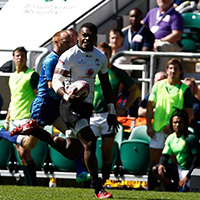 Fiji Army are also the reigning champions in the International Defence Rugby Competition after beating the British Army 30-10 in the 2015 final in London, and will defend their title in Japan this year. 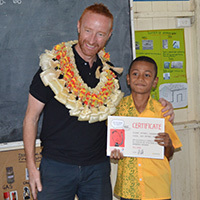 Jope Tuikabe, a 1997 Rugby World Cup Sevens winner in Hong Kong with the likes of Waisale Serevi and Marika Vunibaka, will coach the squad, which is expected to feature many recent and current Fiji Sevens and 15s players. Paul Christopher, Mourant’s Hong Kong Managing Partner, said: “This year’s tournament looks set to reach a new level in terms of the quality of teams participating. We are honoured to be sponsoring Fiji Army’s debut. “As a firm, we have a track record of supporting sports like rugby that focus on values important to us – teamwork, collaboration, well-being and sportsmanship. We know Fiji Army will bring these attributes to Hong Kong along with the creativity and flair for which Fijian players are renowned. Kerry Hotel will be an official sponsor of the team and play host to the tournament newcomers, along with all of this year’s Hong Kong Sevens teams – including Fiji. Fijians have starred in the last two editions of the GFI HKFC 10s, as Biarritz Gavekal won the Cup in 2016 with four Fiji Sevens backs and retained the title last year with five contracted Fiji Sevens players. Along with Biarritz Gavekal, Mourant Fiji Army and the APDs, leading teams will include two-time champions Penguins and three-time finalists Tradition YCAC and Samurai International. Kir Club Pyrenees of France, Scotland’s Projecx Waterboys and A-Trade Overseas Old Boys will also target silverware after finishing in the top half of the 16-team competition last April. The star-studded Classic Wallabies will play for a third straight year, while Hong Kong-based Taikoo Place Scottish Exiles, USA’s Tiger Rugby, Irish Vikings, Hunter and Boo East Africans, Shanghai RFC: The Silver Dragons and hosts Natixis HKFC complete the 16-team line-up. On day two, the tournament eventually splits into four tiers – Cup, Plate, Bowl and Shield – as all teams bid for silverware. GFI has title sponsored the event since 2006, while other sponsors and suppliers for 2019 include Natixis (Gold Sponsor), AIA, Allied World, DHL, Q-Net and Taikoo Place (Silver Sponsors), CBRE, Latham and Watkins, and Markel (Bronze Sponsors), Kerry Hotel (Official Sponsor), Grolsch (Official Beer), and Samurai Sportswear (Official Apparel).